A traditional family company with years of experience. Big enough to offer the best prices, small enough to care. Of the customers who have left us Google reviews 96% have rated us 5*. A family business built from word of mouth and recommendations. Here to offer help and advice both before and after your flooring purchase. Smaller family business with lower overheads yet large buying power means extremely competitive prices. JFJ Wood Flooring, based in North Devon, have a fantastic history of supplying the highest quality solid oak, engineered oak flooring and walnut wood flooring throughout the UK. We work directly with our customers and trade partners to provide the perfect floors for home and commercial properties. As a long-established wood flooring business run by a father and son team, we take great pride in our high levels of customer service and satisfaction. We always place you as our main priority and provide you with a wooden flooring solution that matches your needs. Supplying you with an engineered walnut floor or a quality engineered oak floor from sustainably managed forests allow us to help you to achieve the look and finish that you want. 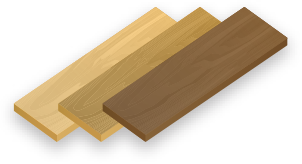 View our ranges here - Engineered Oak, Solid Oak & Engineered Walnut. "As a family business we are genuinely here to help. 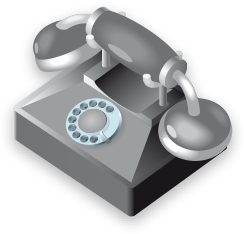 Most of our purchases start with a phone call to discuss what it is you're looking for and the nature of the property the floor is being used in. From this we can decipher which type flooring is going to be the most suited aesthetically as well as what would be most practical. We're happy to advise on any aspect - from installation to wood type, choosing a finish to helping it last for decades. As a family, we've been in the timber floor and joinery industry for decades and we love to pass that knowledge on." Our oak and walnut hardwood floors are made to the highest of specifications, designed to be a reliable long-term wood flooring solution for your property. Due to their construction they are extremely stable and suitable to be used in conjunction with underfloor heating if required. If you are looking for a fantastic finish for your lounge, kitchen or bedroom, the engineered wood flooring that we supply is a perfect product - a natural, environmentally friendly, durable and practical solution. It is our aim with this website to make life as easy as possible for you. We know buying a wood floor isn't an easy decision, so as well as advice we offer free samples for all of our products so you to see the quality for yourself. If you do choose to proceed with us then we offer incredibly competitive prices with free delivery, within the UK, on most of our ranges. 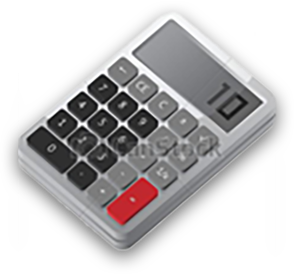 That way, you can work out the full cost including delivery by using our flooring calculator - there's no hidden charges. Should there ever be anything that is not clear never hesitate to simply give us a call and we can work you out the most competitive price over the phone. JF Joinery & JFJ Wood Flooring have been running in the UK for over 35 years and our family dates as far back as 1853 in the joinery and timber industry. Our business has been built on recommendations and word of mouth alone over the years and we pride ourselves on offering sound advice that we have learnt along the way. You can contact us today to discuss your flooring requirements by phoning 01598 740 197 or emailing us on info@jfjwoodflooring.co.uk. Having been based in North Molton for a long time, JFJ Wood Flooring are pleased to be able to provide the successful North Molton Stags with some great new kit.